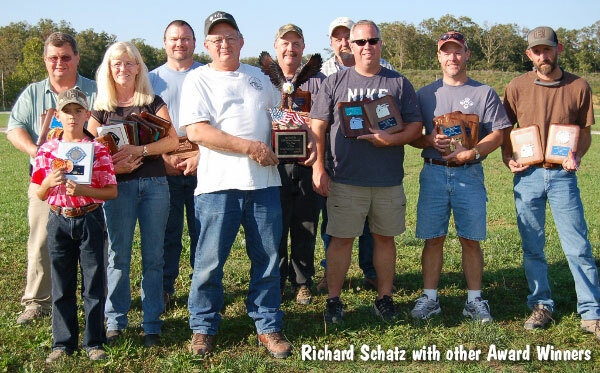 Richard Schatz won the Two-Gun Overall Title at the 2012 IBS 600-Yard Nationals held this weekend in St. Louis, Missouri. Congratulations to Richard for this big win against very capable competition! 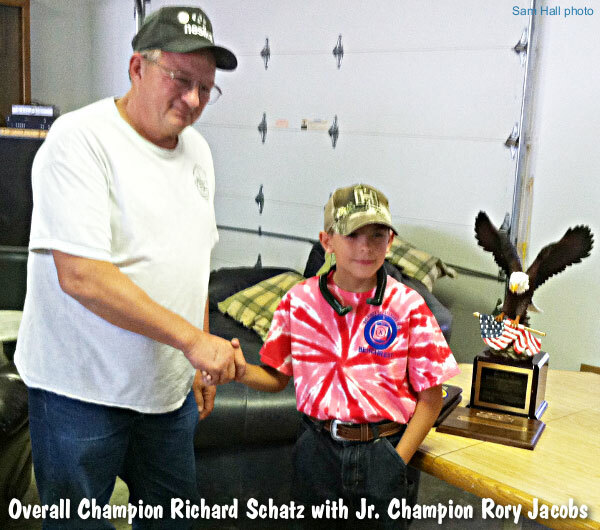 This marks two Overall wins for Richard in the past three years (Schatz also won in 2010). The match was well-attended, with 81 shooters in Light gun and roughly 60 shooters in the HG division. Winds were challenging at the Match, particularly on Saturday. Sam Hall stated: “Richard [showed us] some fine shooting shooting in those switchy St Louis winds. Richard didn’t do anything spectacular but he was very consistent in all categories — he rarely makes a mistake. Congratulations on the Overall 2-Gun Championship! It could not have happened to a finer fellow!” We are still awaiting the final, official scores to be posted. 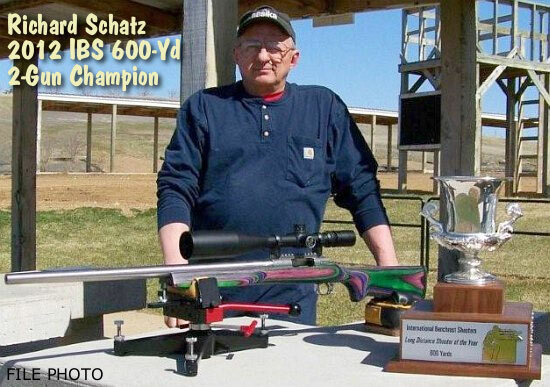 Share the post "Richard Schatz Wins IBS 600-Yard Nationals Two-Gun"
It seems like every week, readers send us questions about gun safes. They want to know how much they should spend and who has the best deals. They also have numerous hardware questions, such as: “What’s better — digital keypad vs. rotary (spin dial) lock?”, and “Should I look for a safe with internal or external hinges?”. We answer many of these questions in our comprehensive Gun Safe Buyers Guide, which is definitely worth reading. After reading our Gun Safe Buyers Guide, if you still have more questions, tune in to Tom Gresham’s Gun Talk Radio Show this Sunday, September 30th. On this Sunday’s broadcast, Liberty Safe’s Jamey Skousen talks about the important features of gun safes and security vaults, and Skousen explains what to look for when shopping for a safe. As an added bonus, Liberty Safe is offering a special rebate in connection with this Gun Talk broadcast. To save money on your next safe, click the graphic at right to download the rebate form. Or, go to LibertySafe.com and click on the photo of Tom Gresham in the upper right hand corner. On a $1500.00 Liberty Safe you’ll get a $50.00 instant rebate plus a $50.00 mail-in rebate, for $100.00 total savings. In its 18th year of national syndication, Tom Gresham’s Gun Talk Radio airs live on Sundays from 2:00 pm to 5:00 pm Eastern. Gun Talk Radio runs on more than 135 stations, plus XM (Ch. 165) Satellite Radio. The Gun Talk Minute on XM also airs on XM 165, 166, 168 and Fox Sports every day. Gun Talk shows can be downloaded as FREE Podcasts via Gun Talk’s Podcast Archive. Share the post "Web Buyers Guide and Gun Talk Radio Provide Gun Safe Info"
The 9th edition of the National Standard Three-Position Air Rifle Rules has just been released. The new 2012-2014 rulebook goes into effect immediately. Digital versions of the new Rulebook can be downloaded from the CMP website in eZine Format or Adobe PDF Format. NOTE: All changes from the previous rules are underlined in the Rulebook so new rules can easily be identified. The 2012-2014 National Standard Rulebook has several rules that were changed to keep national 3-position air rifle rules in line with what competitors will see in USAS/ISSF rules at larger competitions. The ISSF is changing its rules for 10m and 50m rifle and pistol events to have separate “preparation and sighting” periods before record or competition firing begins. Since this will become the new international standard, the Council decided that junior position air rifle competitors in the U. S. should use the same procedures. The command “LOAD” is no longer given before “START” in regular competitions. The command “LOAD” is still given prior to “START” in finals. This change reflects the fact that there is a separate preparation and sighting time before record fire. The command “START” allows competitors to continue to prepare their positions and then load and fire when they are ready to start firing sighters. The new rules clarify that match directors do not have to check rifle velocities unless they feel a rifle was altered to be a “high velocity” rifle. It also recognized that using non-lead pellets may produce velocities slightly above the 600 fps maximum. No extra time will be given for a malfunction or malfunction repair. An athlete may repair a rifle after notifying the Range Officer or a replacement rifle may be authorized by the Range Officer if there is physical evidence that the malfunction cannot be repaired. Additional sighting shots may be allowed if the athlete must get out of position to facilitate the repair, but only within the remaining shooting time. This change is [made] to eliminate delays caused by giving shooters extra time for malfunctions that frequently throw matches off schedule. 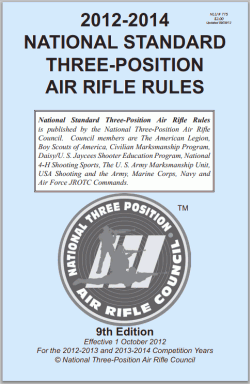 Share the post "New Three-Position Air Rifle Rules Released"